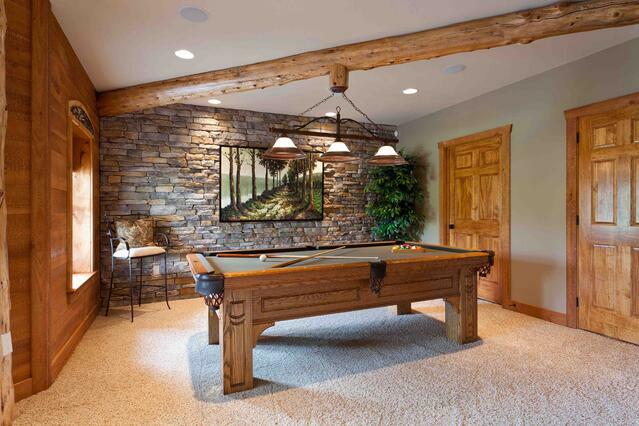 Stone FAQ | Quality Stone Veneer, Inc.
What are the benefits of using Quality Stone Veneer? Where is Quality Stone Veneer located? Quality Stone Veneer has multiple locations on the east coast and one in the mid-west. We currently have offices in Pennsylvania, Massachusetts, Ohio, West Virginia, Maryland, North Carolina, and Colorado. Click Here to find the closest office near you! Can I get Directions to Projects that Quality Stone Veneer has done? Yes, by calling 1-800- 795-3229, you will be directed to an office closest to you, where a QSV employee will be able to find what you are looking for. How are Quality Stone Veneer Products Packaged? The product is packages in a box on a skid with 100-125 square feet per box. A box weighs approximately 1,000 pounds. Quality Stone Veneer offices 13 showrooms that are open from 8am to 3pm Monday through Friday. You can drop by one of these locations and take a look at some of our stone sample boards. You can also check out our . If you are still in need of help making your selection, please call 1-800- 795-3229 to be directed to the nearest location to you. Does mortar color and jointing style make a difference? Yes, the mortar color and jointing style does make a substantial difference. Choosing a color for the mortar is a very important decision in the stone selection process. The mortar can help highlight specific colors or it can highlight the individual shapes and sizes of the stone. 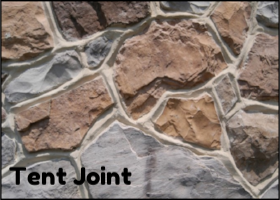 Choosing a jointing style for the mortar is another important decision as it helps in highlighting the stone as well. Below is different styles for jointing stone. What is Quality Stone Veneer made of? What is the average thickness of the veneer? What is the average thickness once installed? What is the average length of the corner returns? What is the average weight of veneer? The weight is approximately 10-15 LBS per square foot. 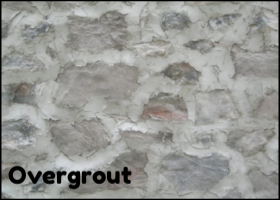 Adhered veneer weight depends on grout method and stone style. Once installed, the full system weighs between 12 and 18 LBS per square foot. How many shapes are there to each style? 400-700 unique stone shapes per style. Can I mix colors and styles to get the look that I desire? Yes, most of our colors and styles are interchangeable. We pride ourselves on being able to customize any of our products. Can I match an existing stone structure? Yes, we can create a custom color to match existing stone structures. However, this is an intricate process and the customer is subject to an additional charge. 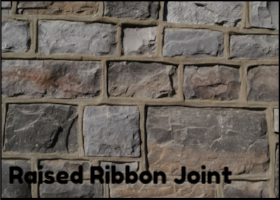 Below is an example of matching an existing stone structure. 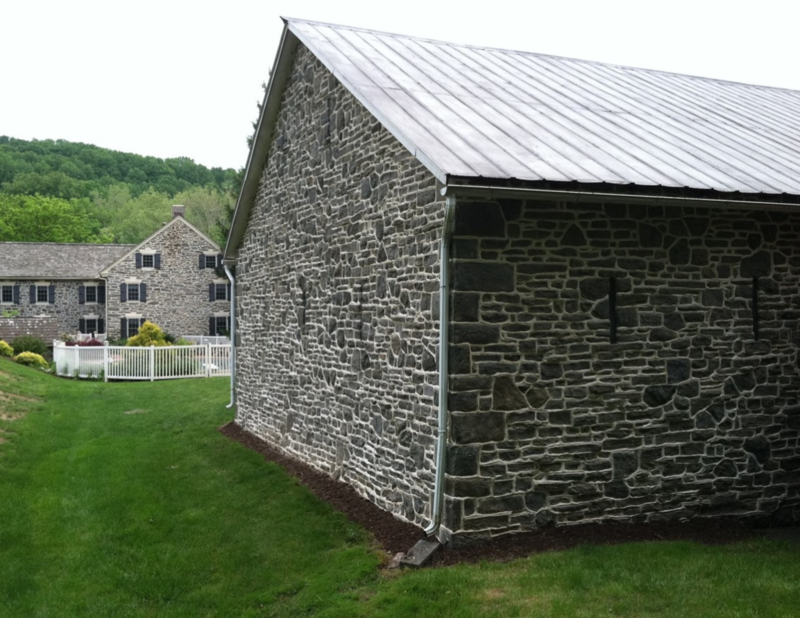 The stone on the barn was created to match the existing house stone exterior. How can I hang artwork or a decorative piece on a Quality Stone veneer wall or fireplace? Drill into the mortar, as this is easily repaired if you will want to move the object later. Drilling into the stone is much more difficult and harder to repair. Please see our example below. Does the color go all the way through the stone? The base color is through the product while the accent colors are applied on the surface. Weathering will change almost any exterior surface. No undesirable changes are noticed under normal conditions. Can Quality Stone Veneer be used as walkways, patios, or driveways? No, Quality Stone Veneer is not designed to be used for foot traffic or structural applications. Do Quality Stone Veneer products meet building code requirements? Yes our products do meet building code requirements. Learn more about those requirements by CLICKING HERE. 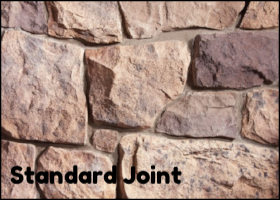 What warranties does Quality Stone Veneer offer? 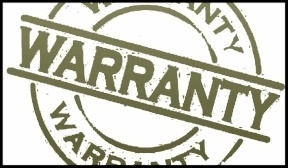 Please see our document below for the Quality Stone Veneer warranty.